The Duke and Duchess of Sussex have launched their own official Instagram account and thanked their admirers for their support. The British royal couple unveiled their own profile on the photo sharing app on Tuesday afternoon and within the first hour it had already garnered well over 200,000 followers. 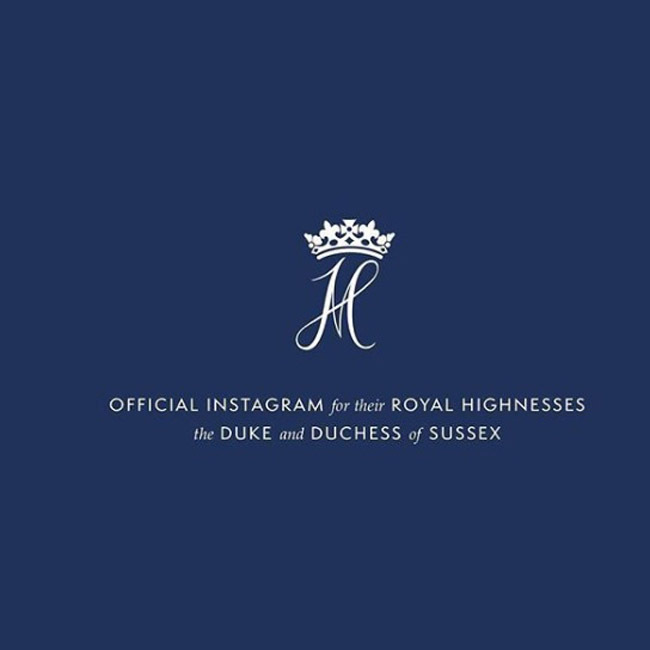 Alongside a message announcing the account - and a series of snaps of the couple on royal engagements - the post from Harry and Meghan read: "Welcome to our official Instagram; we look forward to sharing the work that drives us, the causes we support, important announcements, and the opportunity to shine a light on key issues. So far, the only other accounts followed by the new page are Clarence House, Kensington Palace and the Royal Family. The launch of the social media profile comes after it was revealed the couple - who are expecting their first child together - have had to delay their move to Windsor until next month as the renovations are behind schedule. The pair were due to move into 10-bedroom Frogmore Cottage on the grounds of Windsor Castle this week, but a source recently said: "It's been all hands to the pump. The builders have worked all week whatever the weather. But they keep making changes, particularly on the layout.